We are one of the leading self-storage facilities in Australia, offering self-storage units for business, residential and official requisites. One of the finest aspects of our storage spaces is that we provide pest free, secure and clean units for the benefit of our clients. With a wide experience in the storage units industry, we have the best professionals who can confidently cater to your storage needs as well as deliver valuable assistance with short and long-term storage solutions. Illawarra Self Storage has been in this business for a long time so when you are choosing our services your goods are safe and secure without any interference. Also, we have a very big self-storage merchandise store that makes it easier for us to satisfy the storage necessities of our clients. We understand that you cannot store your precious goods just anywhere and that is why our internal storage units provide a bit of extra care for you. Also, we have plenty of spaces to help you in storage requirements. Illawarra Self Storage prides in providing a wide range of storage solutions to both residential and commercial purposes. At prices starting from $4 per day, why are you waiting? With security key access and external sensor lights 24 hours a day, 7 days a week, and 33 cubic meters total internal storage space measuring 6m long × 2.35m wide and 2.4m high in size, Illawarra Self Storage can provide all your storage need. Illawarra Self Storage offers you secure, metal constructed storage facilities close to the Wollongong city centre. The storage is ideal for surplus household furniture, machinery, gardening equipment or those boxes of archives that are clogging the back room. Take all the worries out of moving and let david grubb real estate live your day, freely and spend time your family or do the things you love doing. A cost-effective Rental Service for your domestic and commercial needs. With a team of some of the best-experienced people of this industry, we bring the finest storage solutions for our clients. Our broad knowledge and experience speak for our quality services. Get additional security with double gated security complex for the safety of your goods. We understand your needs and that is why we provide our clients 24 hours access to their storage units. Get extra locking points for ensuring maximum safety of your goods without any additional cost. Special LED lighting is given in the complex for ensuring utmost security of your valuable items. Are you worried about the storage of your bulk or valuable small items? Illawarra Self Storage promises exceptional security of your cargo that can only be accessed by the pin security known only to the clients. 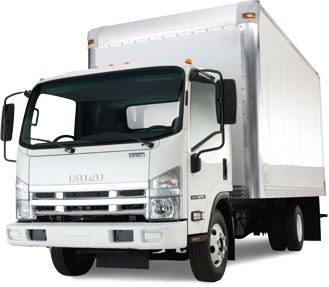 In case you need to move your domestic or business goods, WILHIRE TRUCK RENTAL offers a moving truck service that will guarantee you and your cargo travel to its destination safely and without any hindrance. Our big complex of storage units helps us to meet the numerous storage requirements of our clients. We can accommodate bulk storage needs as well as provide the perfect solution for mini storage requisites. You will be in peace when your goods are stored in IllawarraSelf Storage. From my point of view, they offer convenient services at affordable rates.